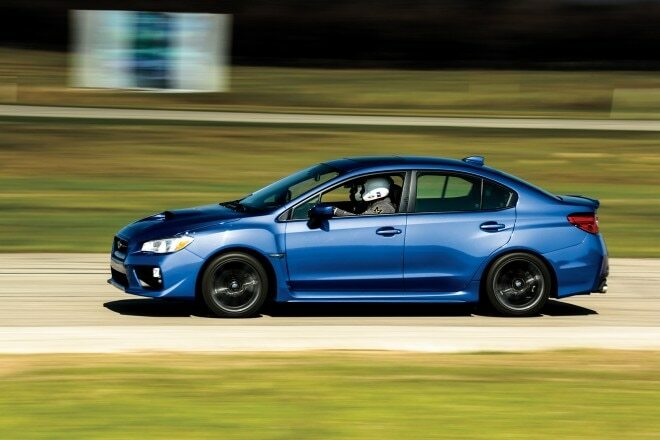 Believe it or not, fourteen years have passed since Subaru brought its WRX to the U.S. in 2002. 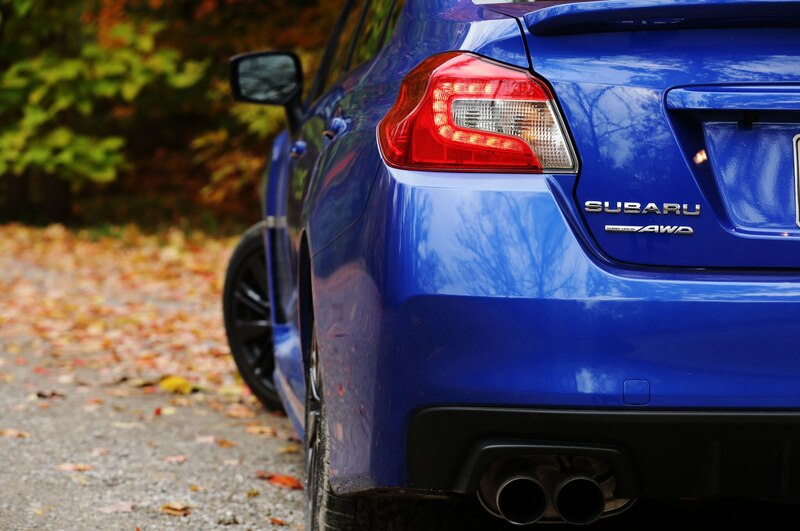 North American customers were finally sated after what felt like an eternity: We eyed foreign markets with jealousy over those three decklid letters, despite Subaru offering us the solid Impreza RS. 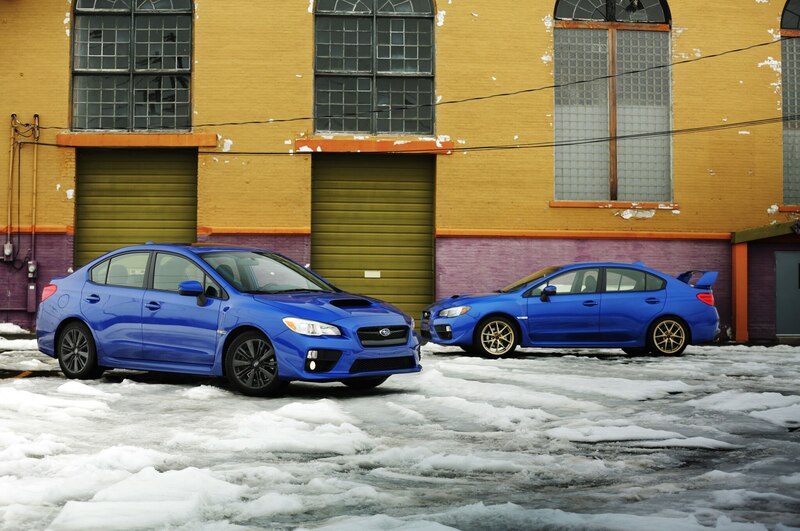 As cool and fun as the classic Subaru rally-look RS was—try to find one now—the WRX provided another leap in reliable and affordable all-wheel-drive performance. 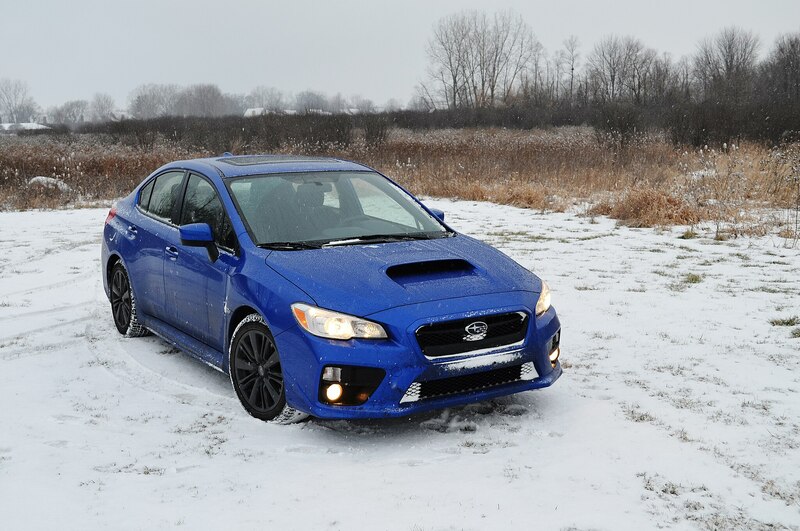 It advanced the Impreza again as the car of choice for a generation of rambunctious young enthusiasts, a four-wheel snow-drifting, mud-spraying, tunable machine. 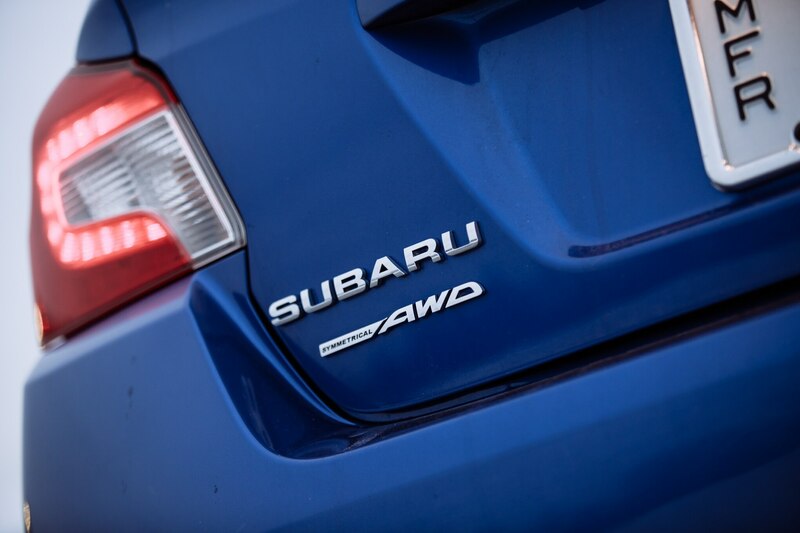 Subaru, though, has changed dramatically since those days, maturing into a family-friendly brand that values safety and shaggy-dog ownership over rowdy rally antics. 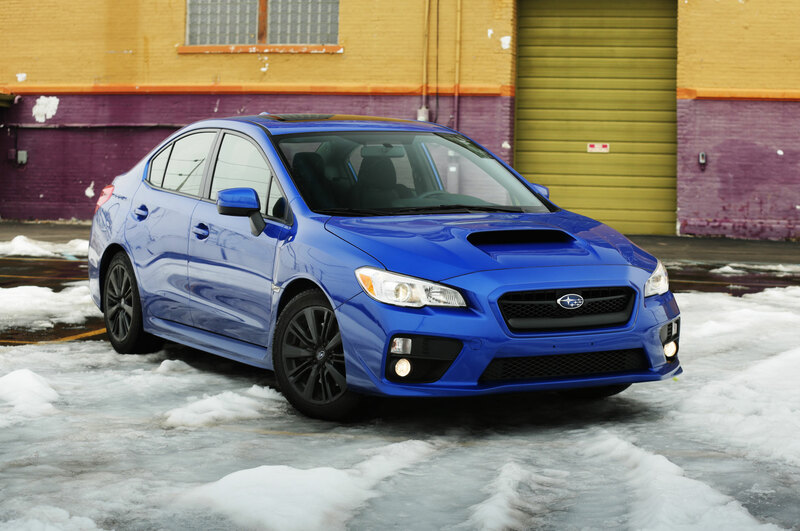 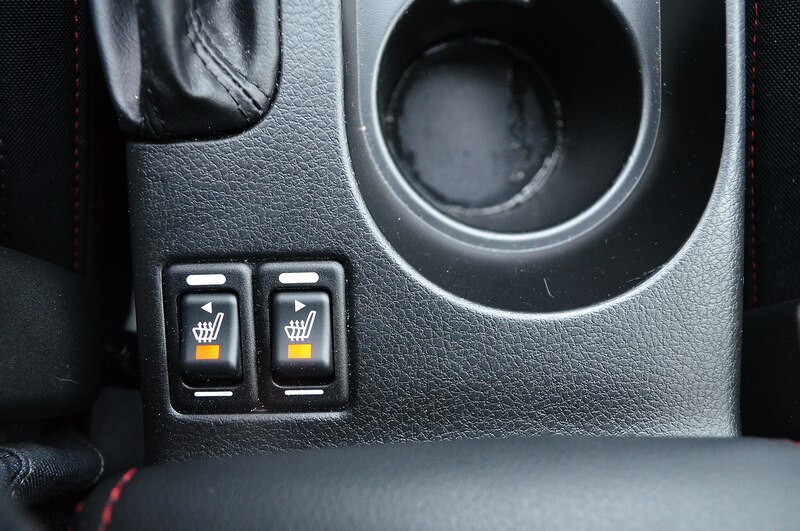 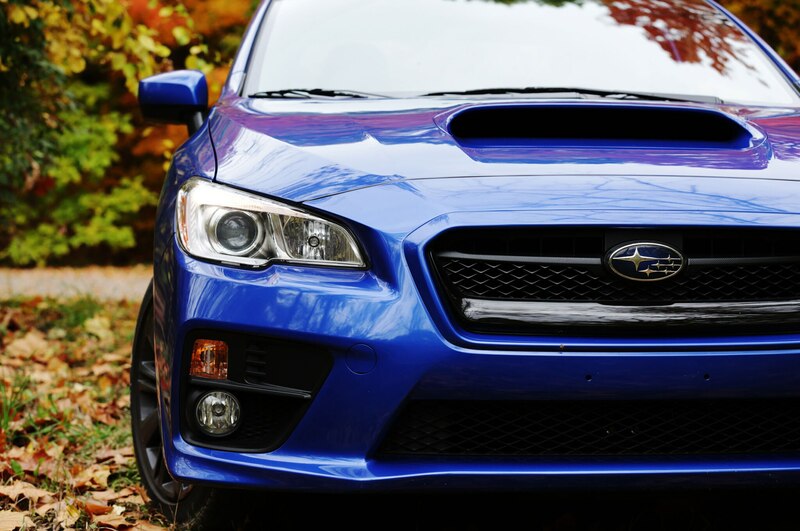 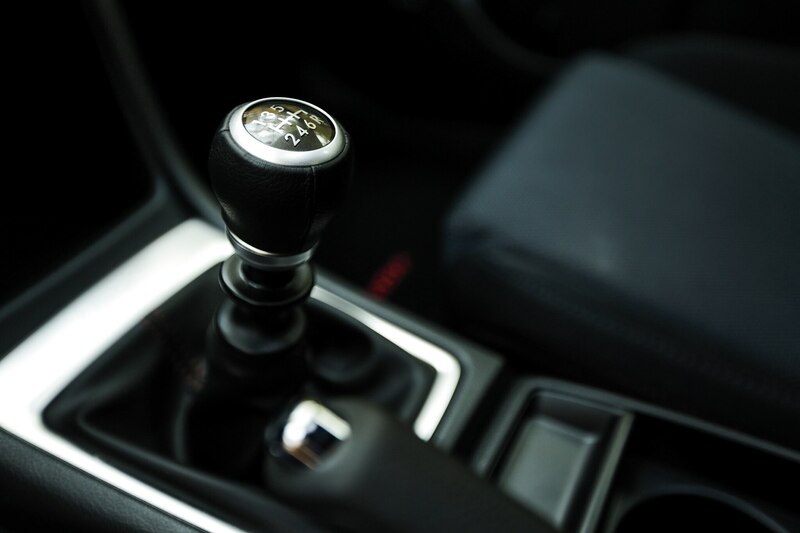 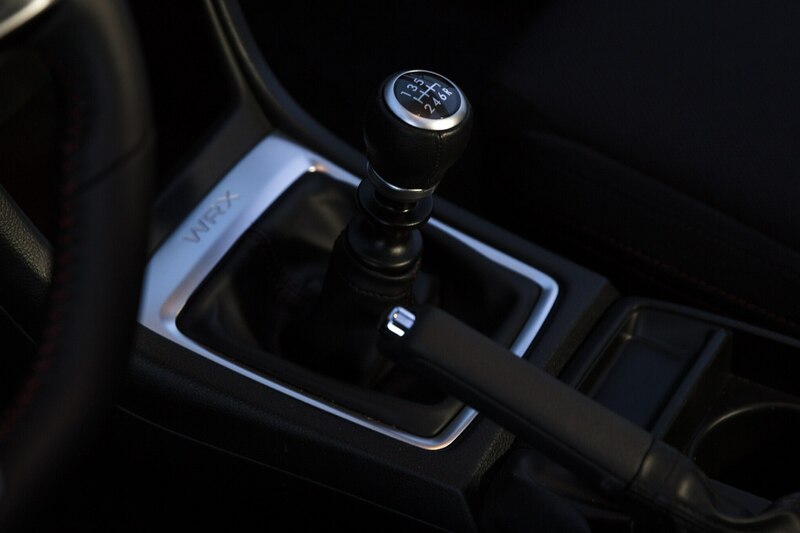 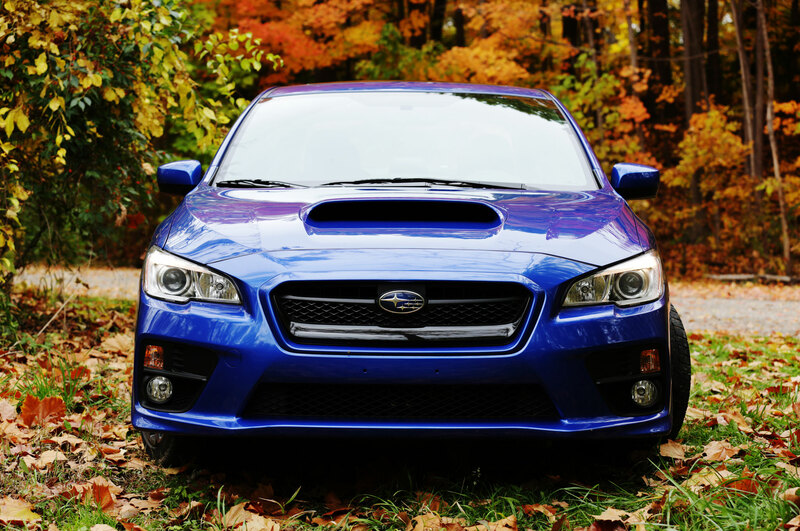 So when the 2015 WRX debuted without a hatchback and with a continuously variable transmission option, fans feared the Rex had become a victim of Subaru’s relentless climb up the sales charts, neutered in the name of moving more units. 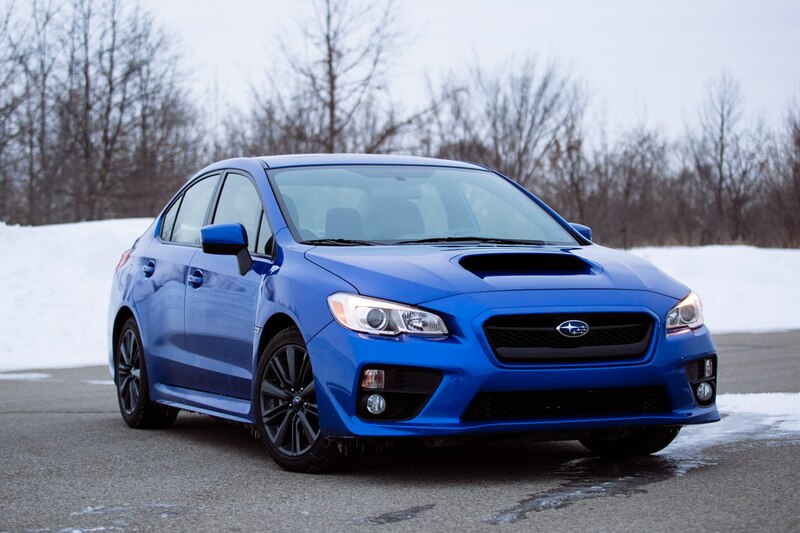 But during four seasons with us, we found that while, yes, it’s more mature than before, the latest WRX is still much the same car it’s always been. 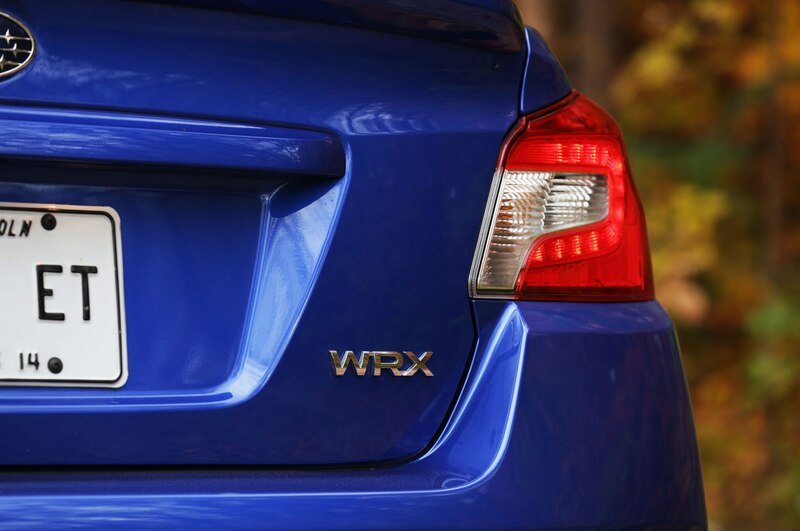 Now in its fifth generation here in the U.S., the WRX has shed the Impreza econocar badge, helping to define it as a nameplate in its own right. 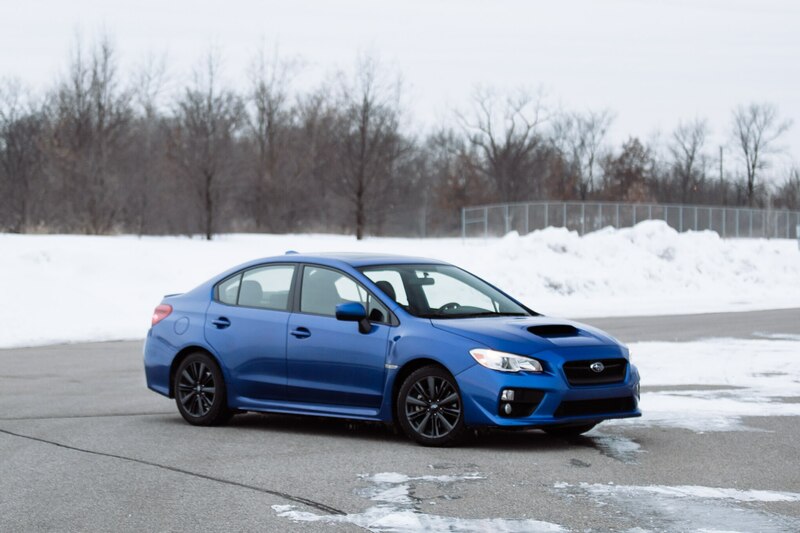 And though the WRX still isn’t the belle of the ball, its broad stance and more aggressive lines strike a balance between the bland Impreza and the bulging WRX STI, with its runway-sized wing that’s guaranteed to quash any hopes of a second date. 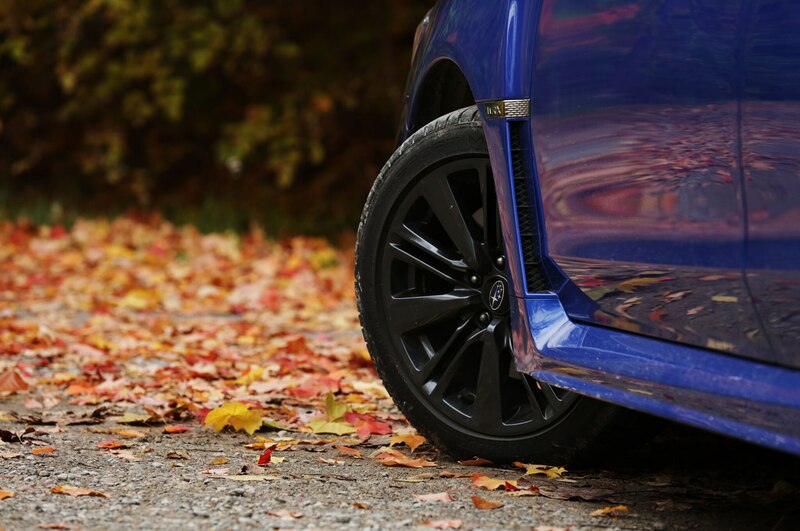 We couldn’t resist opting for the WR Blue Pearl paint, which comes standard with contrasting black 17-inch aluminum wheels. 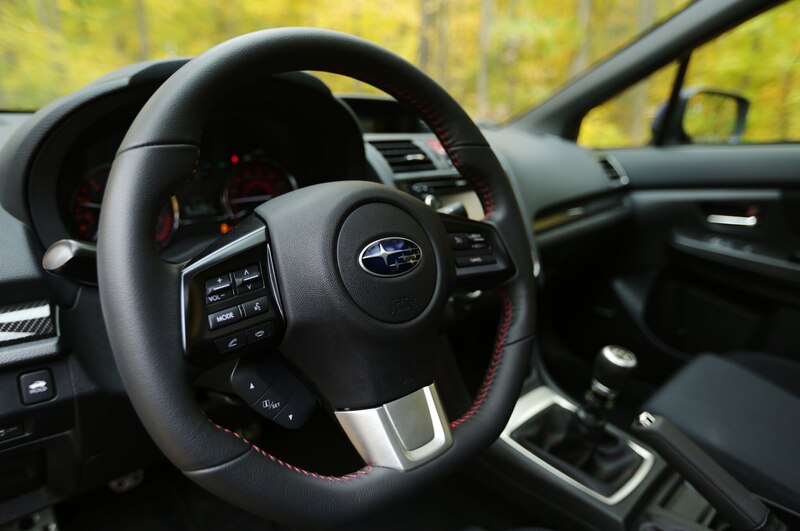 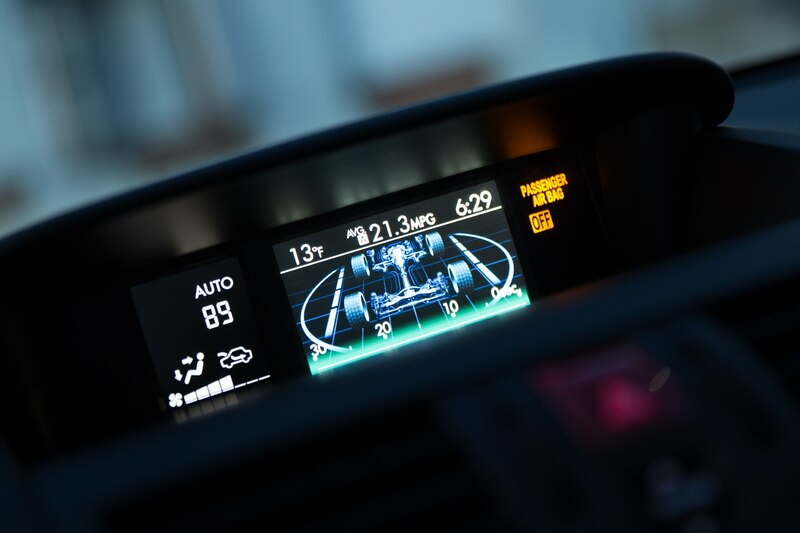 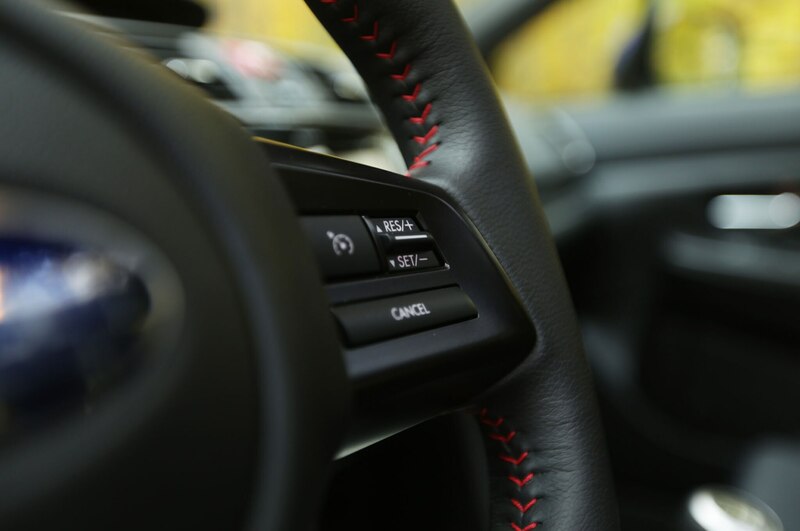 Everything from the notchy manual gearbox to the meaty flat-bottomed steering wheel, aluminum pedal covers, and digital boost readout are tailored to the serious driver. 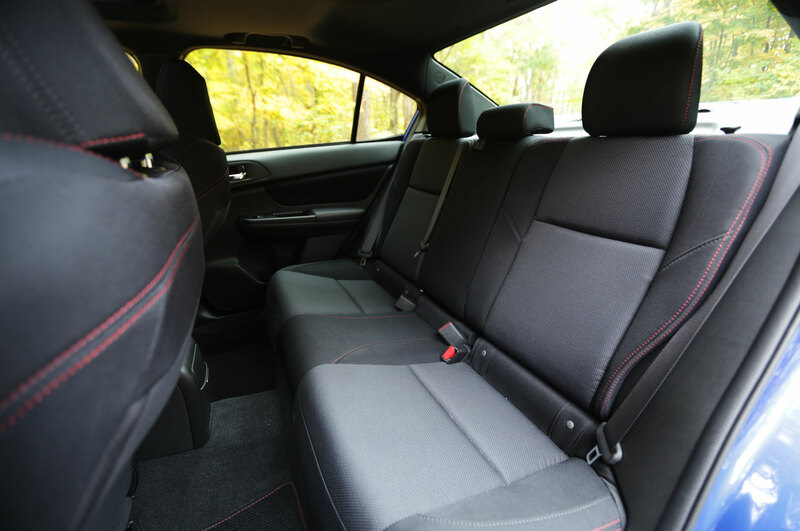 Outward visibility is stellar, thanks to surprisingly thin A-pillars and low door sills, and the seats have plenty of lateral support. 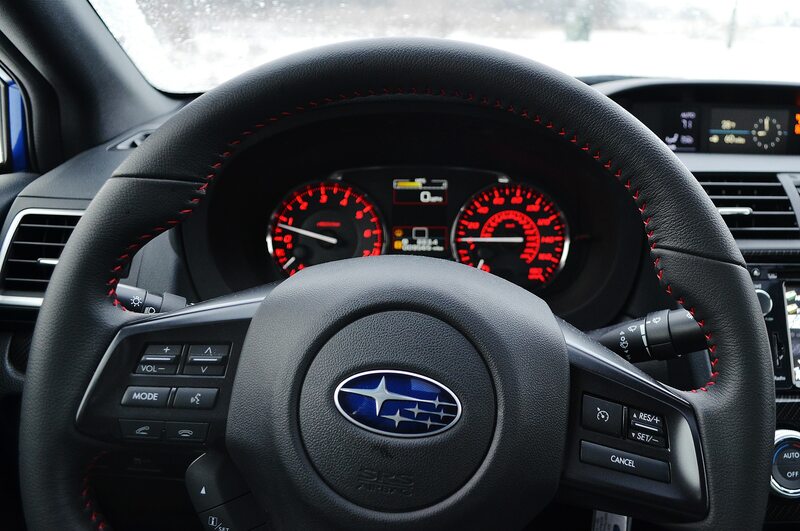 Our only regret was checking the box to get Subaru’s extremely outdated head unit with navigation and Bluetooth, a needless $2,000 option. 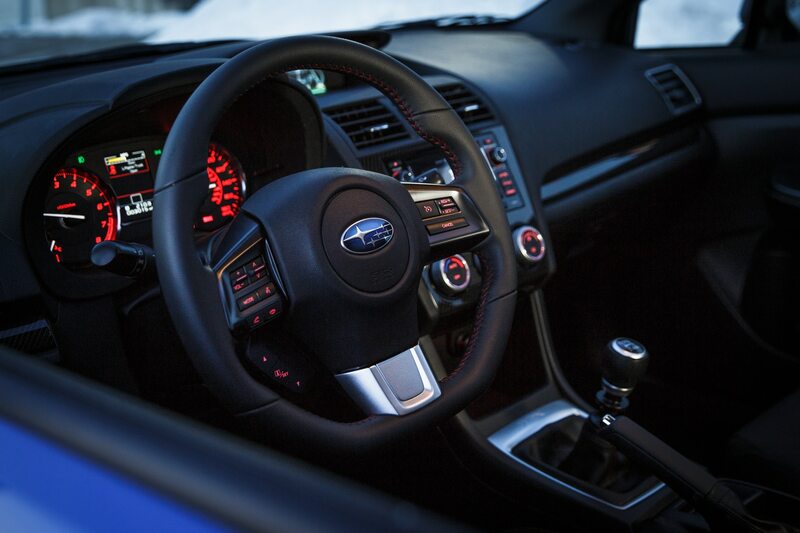 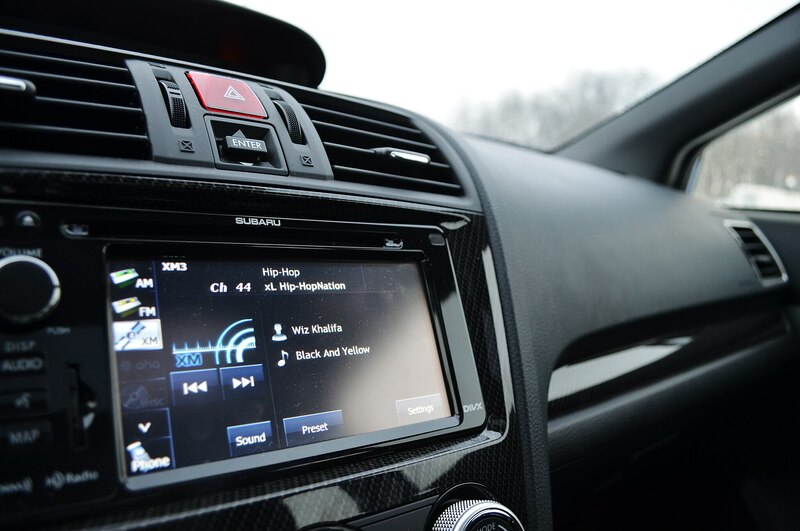 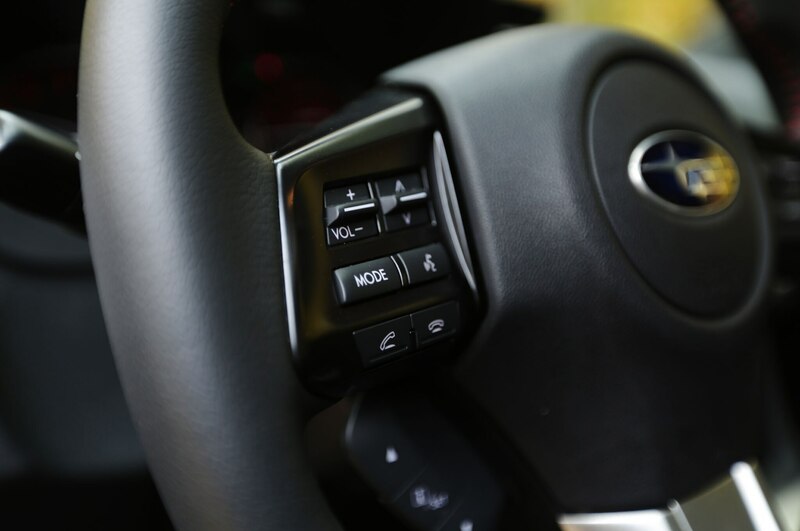 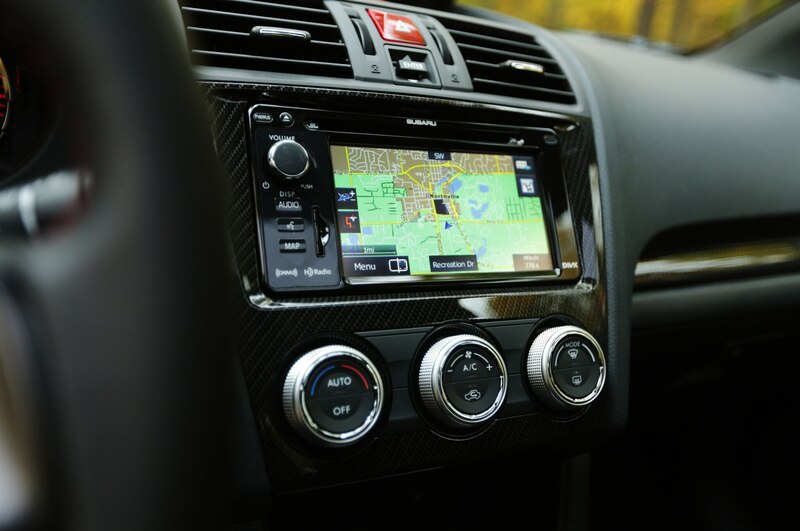 Subaru thankfully binned it in the 2016 WRX, in favor of its updated Starlink infotainment system. 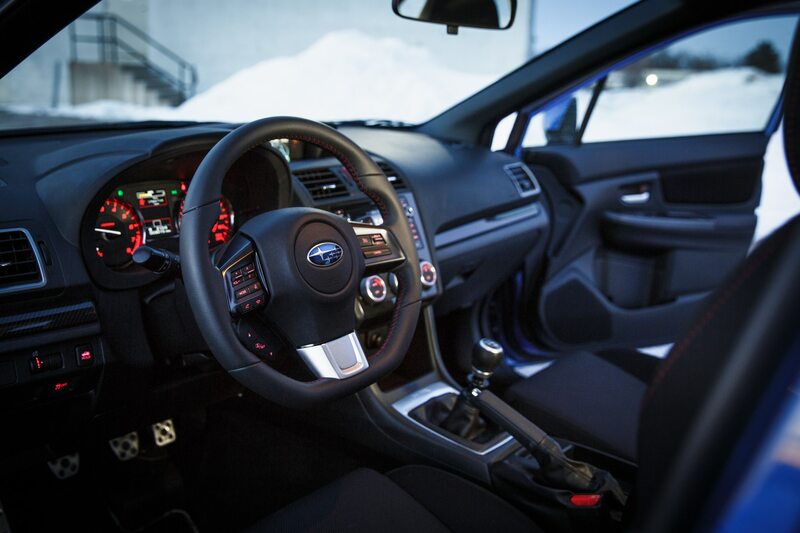 While its cozier digs may be attracting new buyers, WRX loyalists still subscribe to the performance-over-vanity mantra. 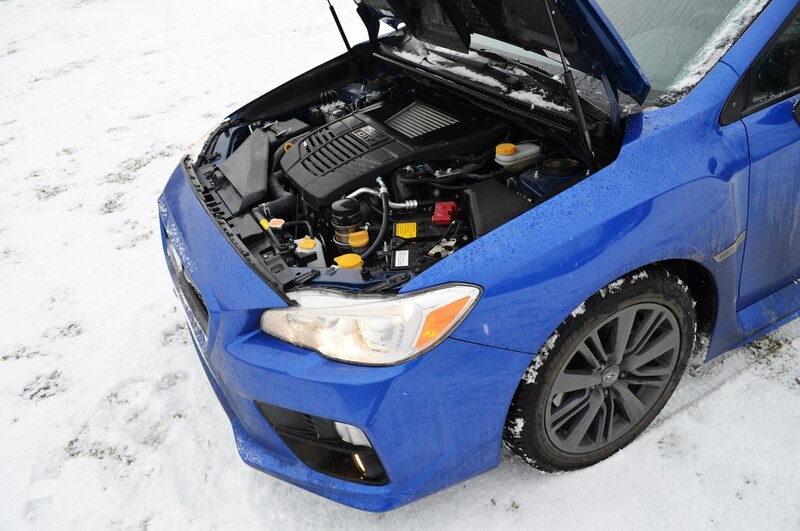 They can thank the Pleiades then that the formula is the same for the 2015 WRX, whose 268-hp, turbocharged 2.0-liter boxer-four is punchy and full of personality. 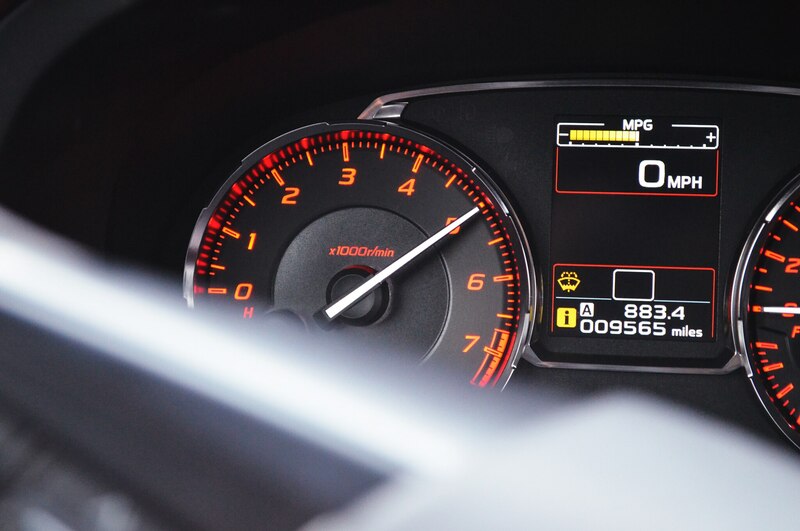 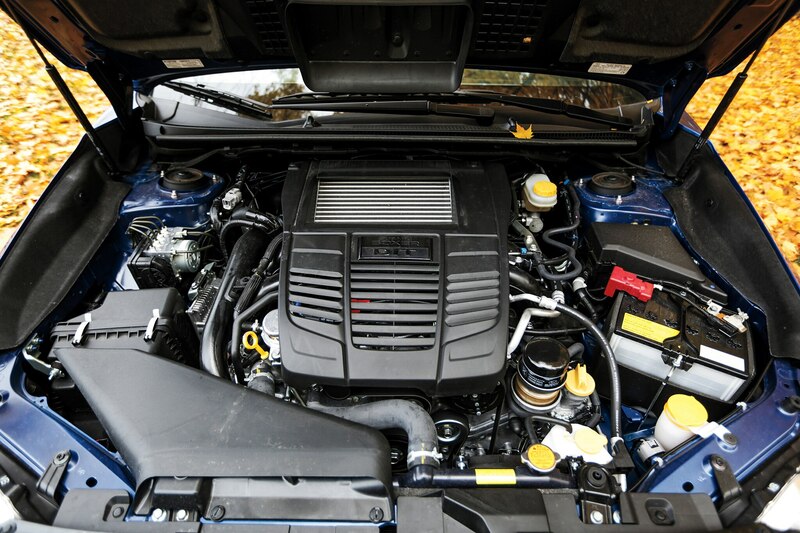 An avalanche of boost comes on just north of 3,000 rpm—a throwback to when turbos were fun and not primarily aimed at improving fuel economy. 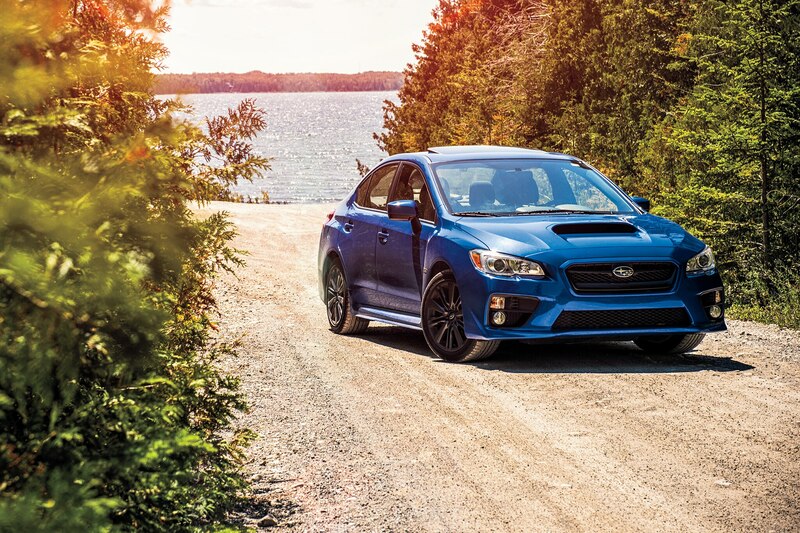 The peaky surges are great for wild dirt-road adventuring or pushing the limits on winding two-lanes, but some editors found the WRX to be a hassle in the city. 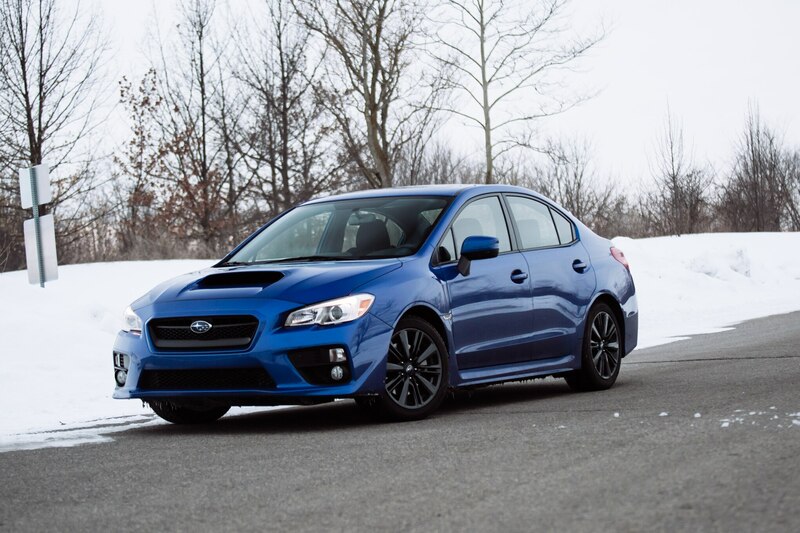 “I’m always short-shifting to avoid the rush of turbo and keep an even pace in slow-moving traffic,” said Holmes. Indeed, its power delivery can be trying at times in the daily bump and grind, but it’s become a part of the WRX’s lively character. 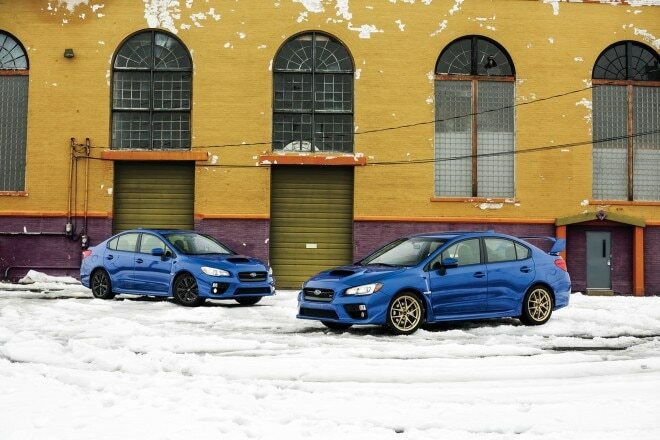 During a visit to New York City, we had a blast slicing through gaps in downtown traffic, deftly avoiding fixie-riding hipsters and texting pedestrians as we traversed the Big Apple’s urban barnyard. 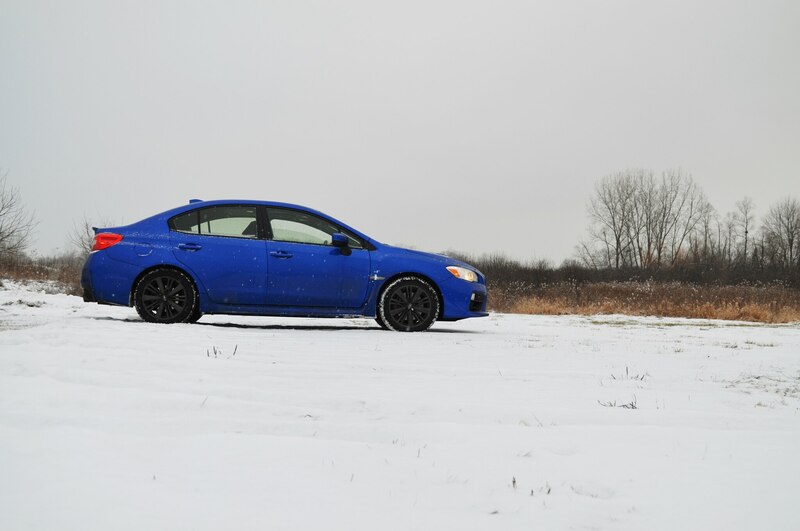 Of course, we also made a point to get off the road and onto the track as well. Two visits to GingerMan Raceway in western Michigan and one autocross had us praising the car’s newly upgraded chassis. 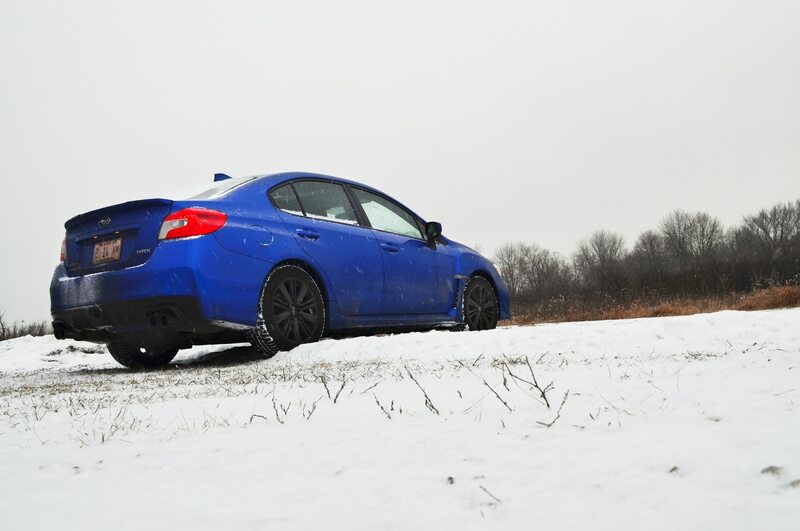 “Especially over curbing and mid-corner bumps, the WRX is impressively unfazed,” said videographer and former WRX STI owner Sandon Voelker. 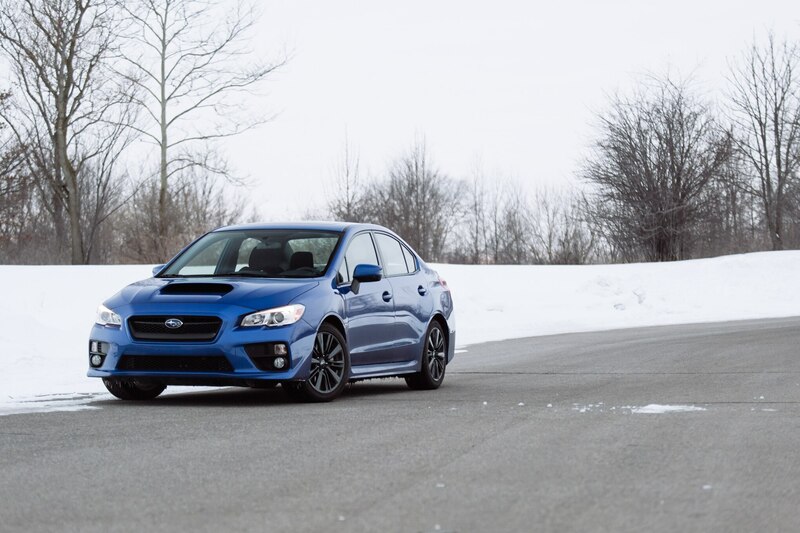 “The suspension is stiff enough to keep the car flat but compliant enough to maintain composure.” The WRX can maintain a lot of speed through corners, but it does tend to push wide if you’re too liberal with the throttle. 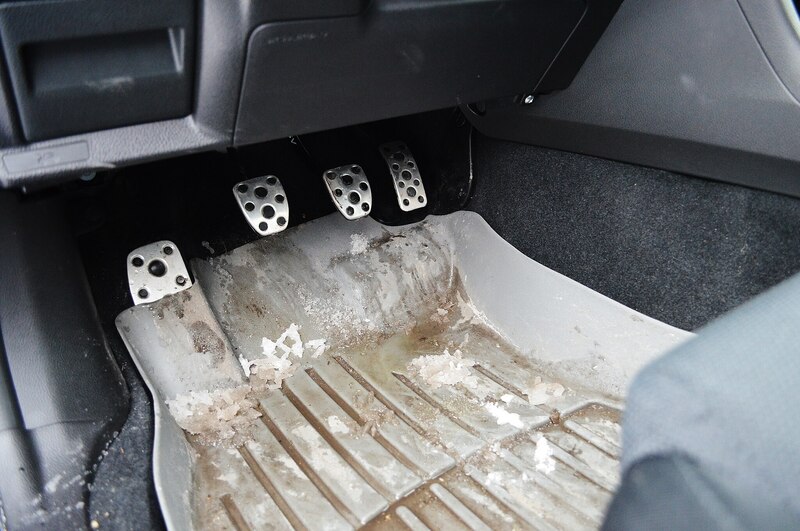 Before you visit the track, you may want to pick up a set of upgraded brake pads and fluid. 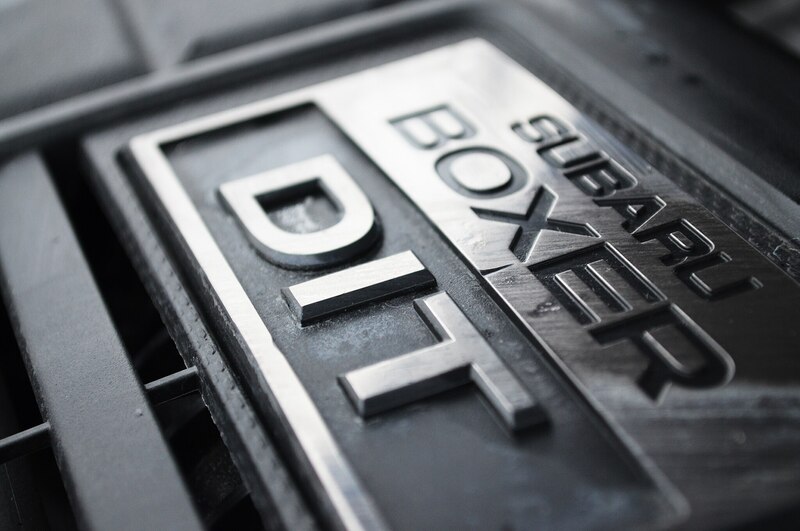 Our first outing was cut short when we boiled brake fluid and smoked the Subie’s stoppers. 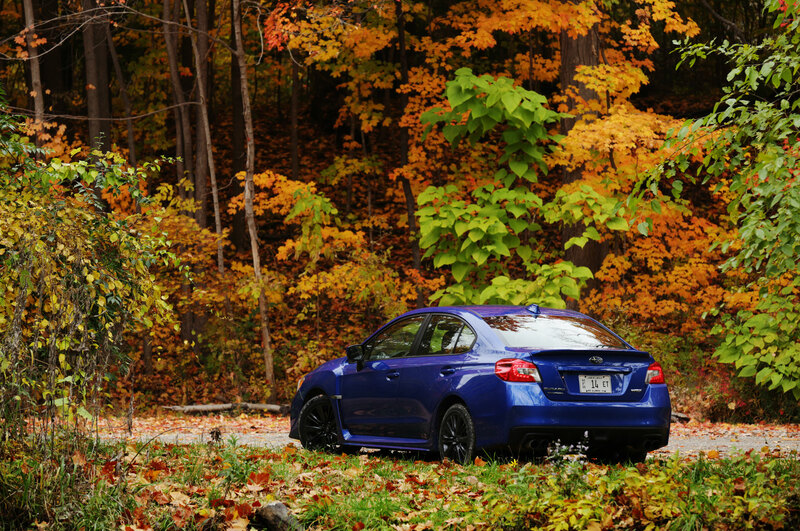 A set of Hawk HPS brake pads put those issues to rest. 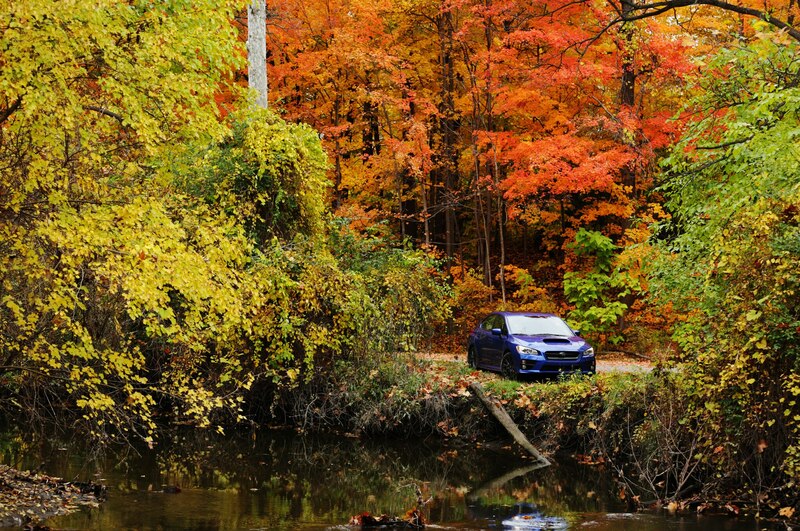 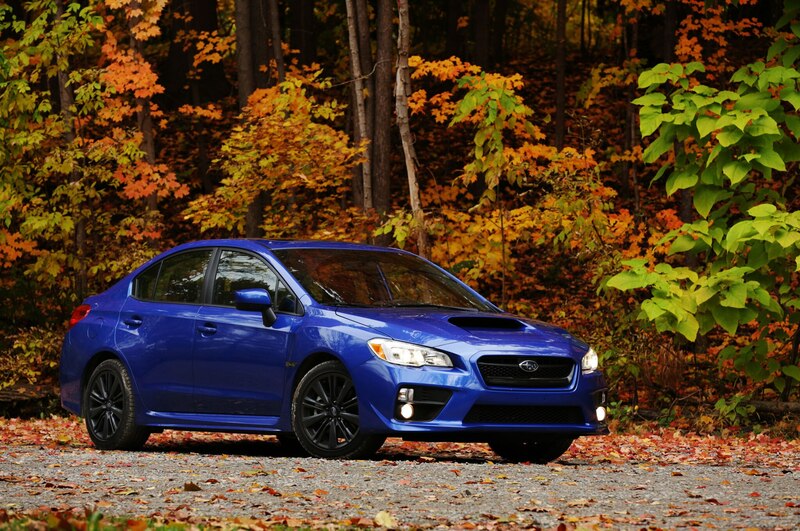 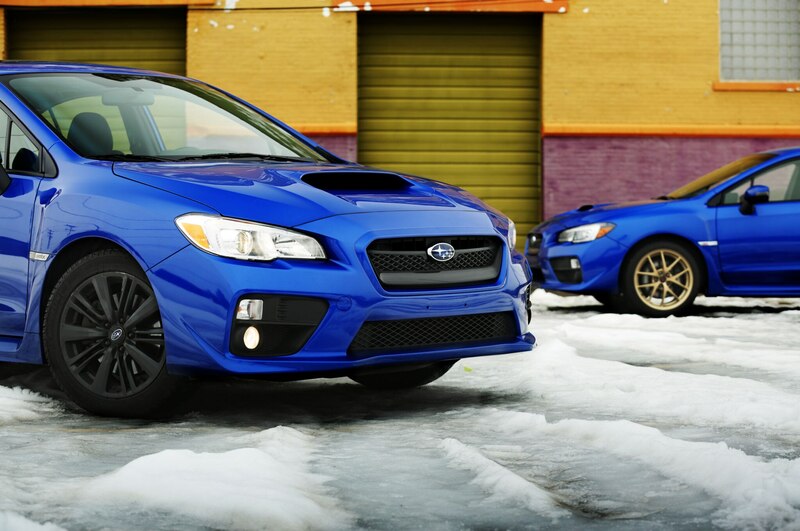 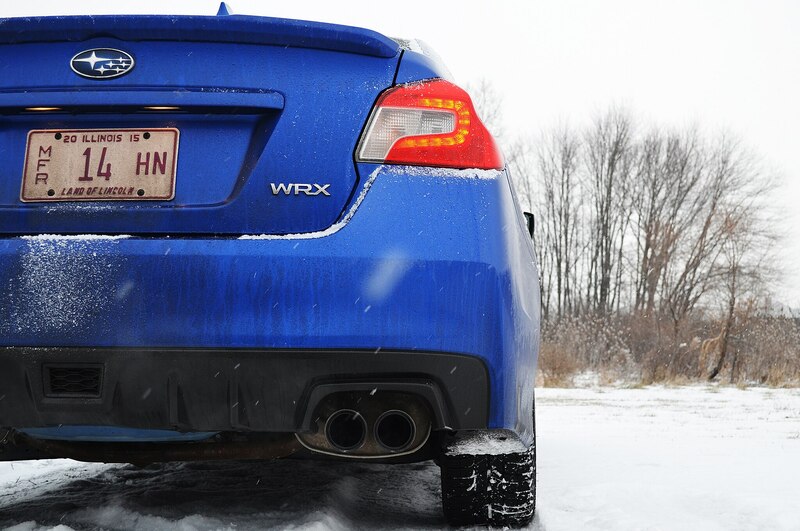 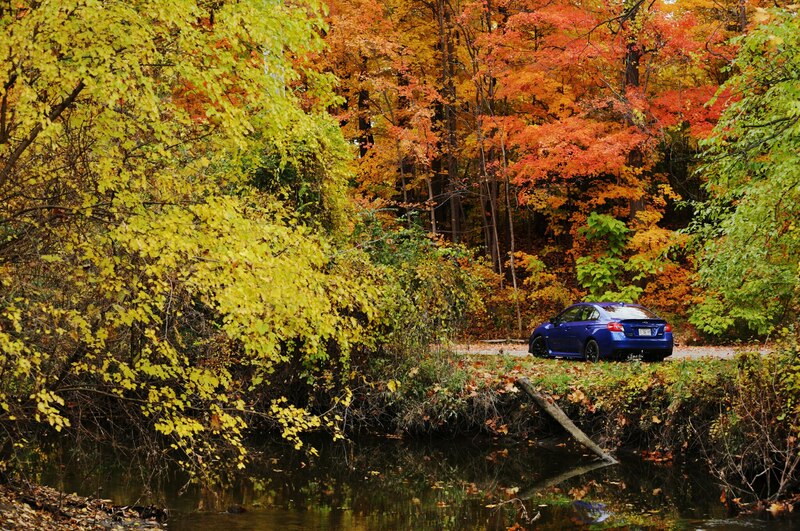 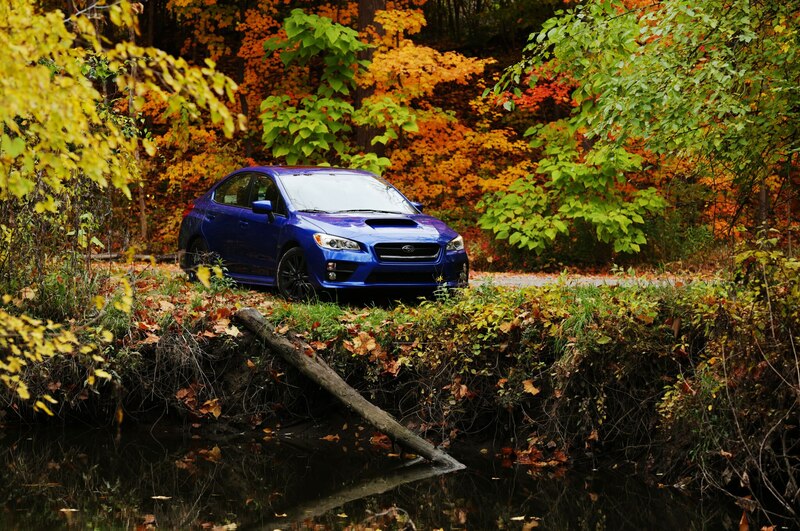 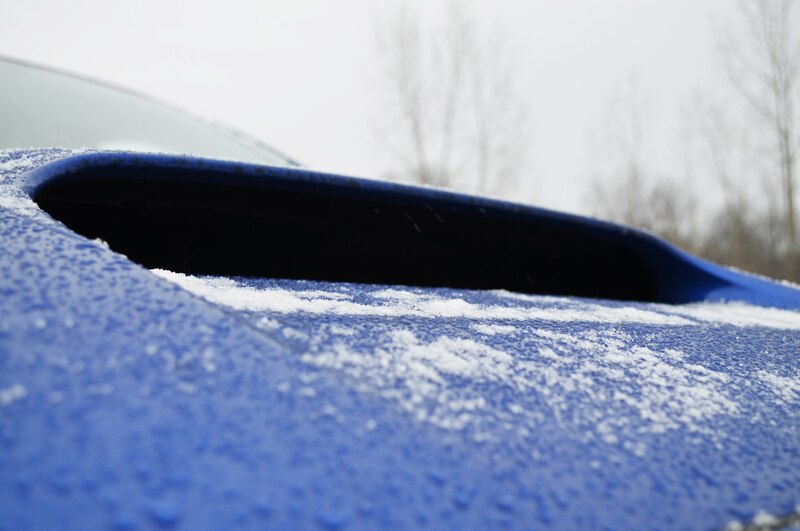 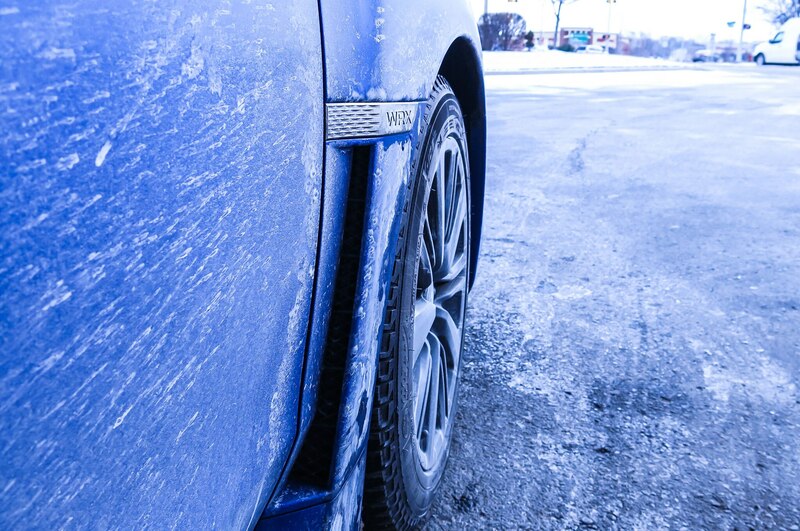 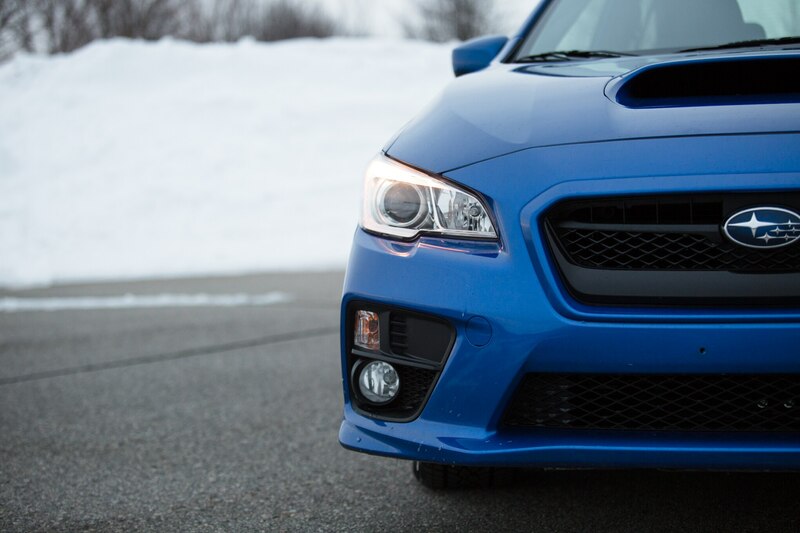 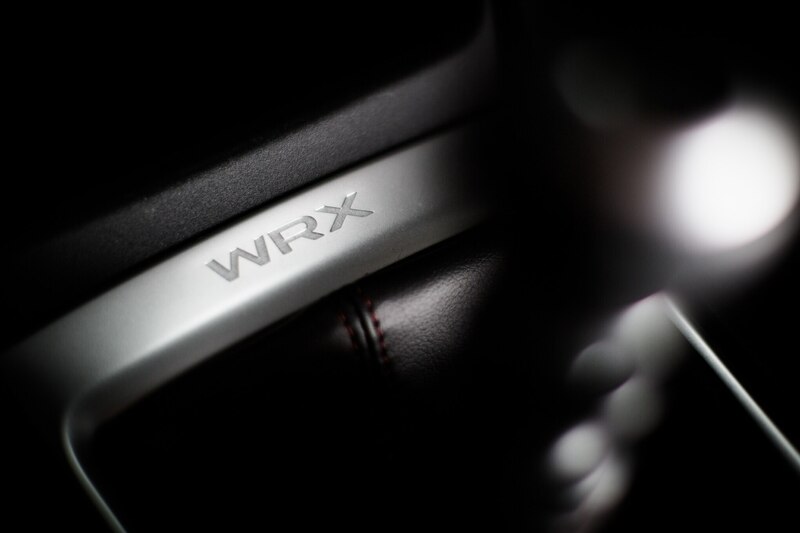 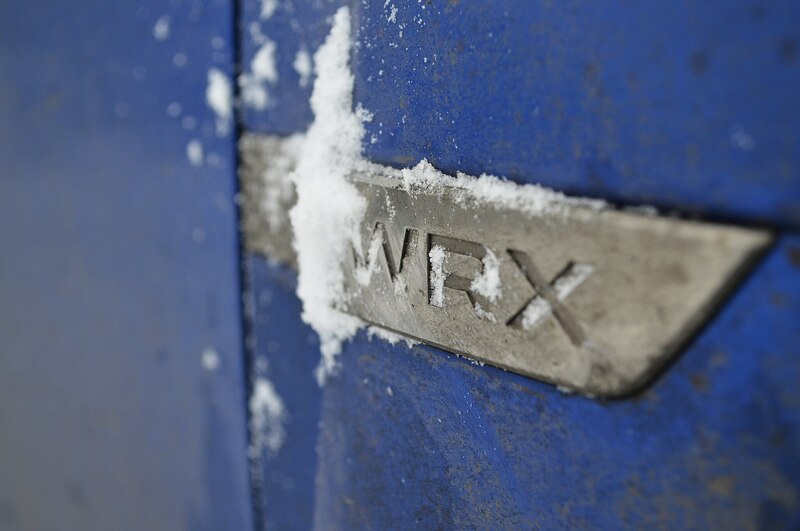 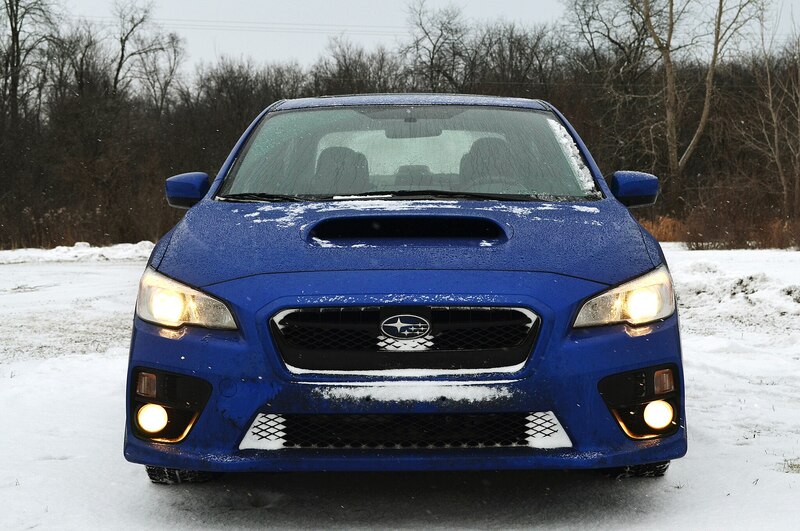 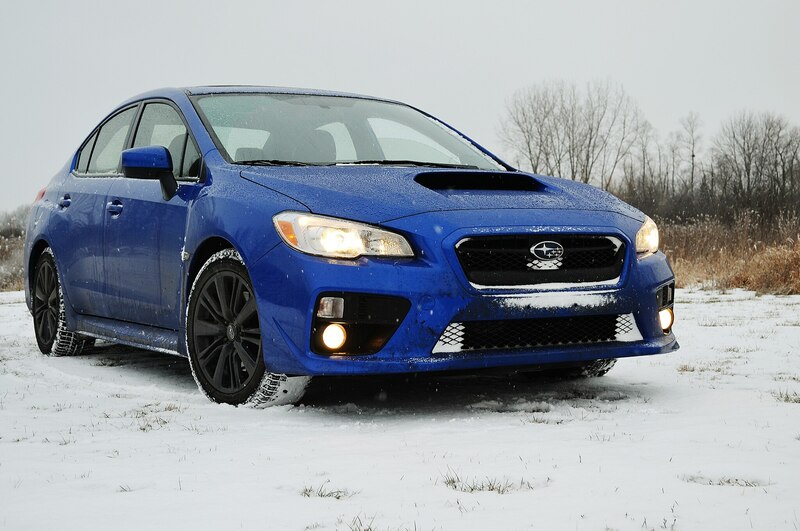 Still, you don’t need a racetrack or even good weather to have a blast in the 2015 Subaru WRX. 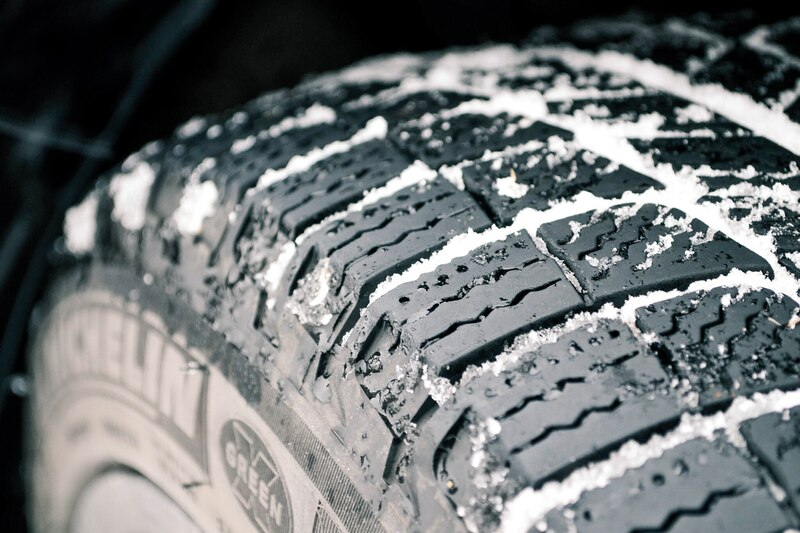 Once the ambient temperature cooled, we ordered a set of Michelin X-Ice Xi3 tires through our partners at the Tire Rack. 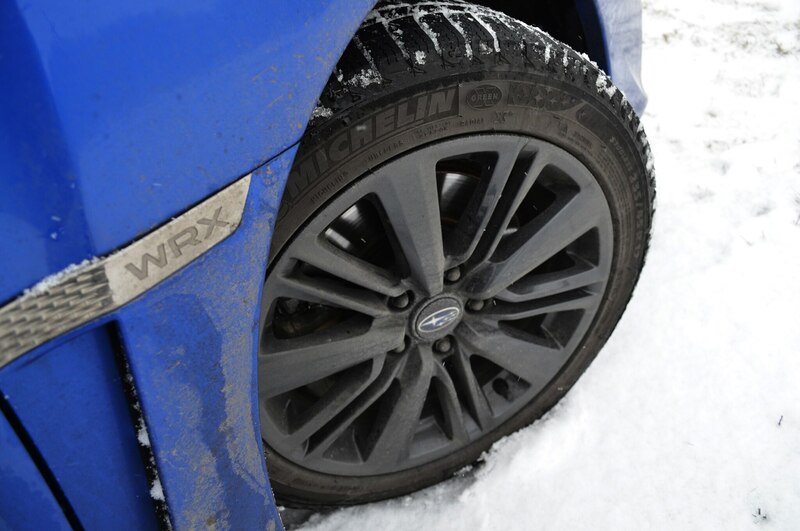 The tires’ added stability and grip, combined with the all-wheel-drive’s capability, meant editors were constantly arguing over the keys whenever the snow started dumping. 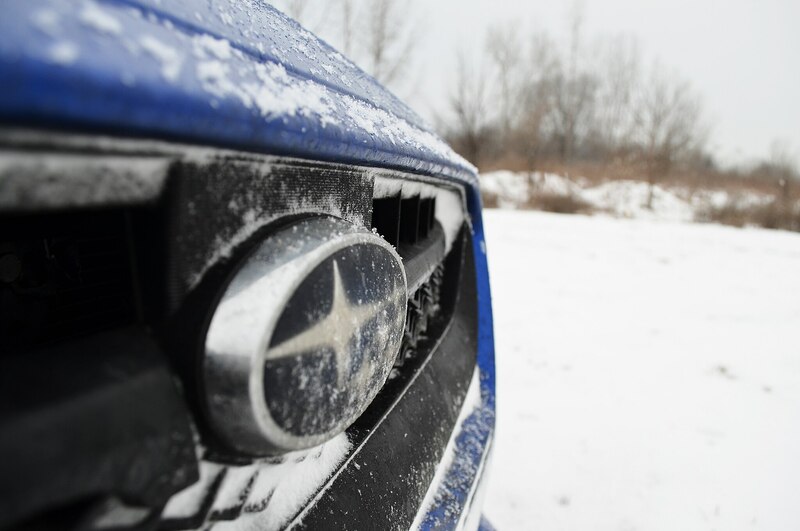 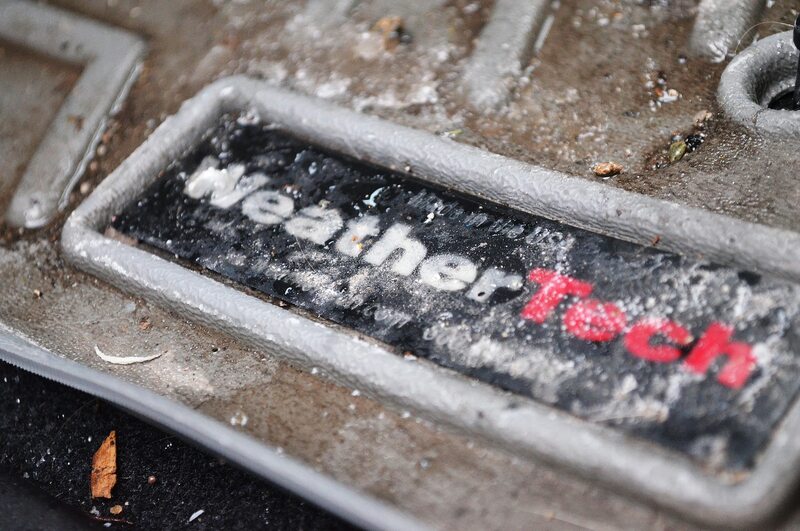 Our overconfidence in the white stuff eventually got the best of us, however. 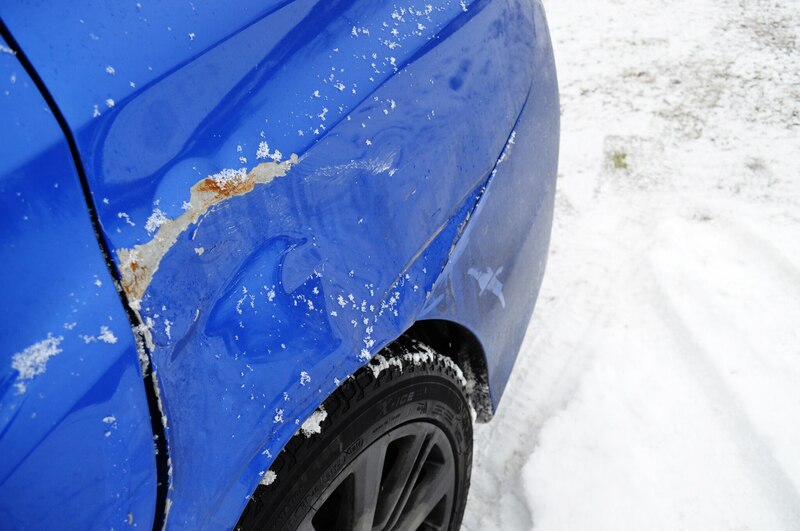 Senior editor Chris Nelson had an unplanned rendezvous with the front end of a parked Ford Escape. 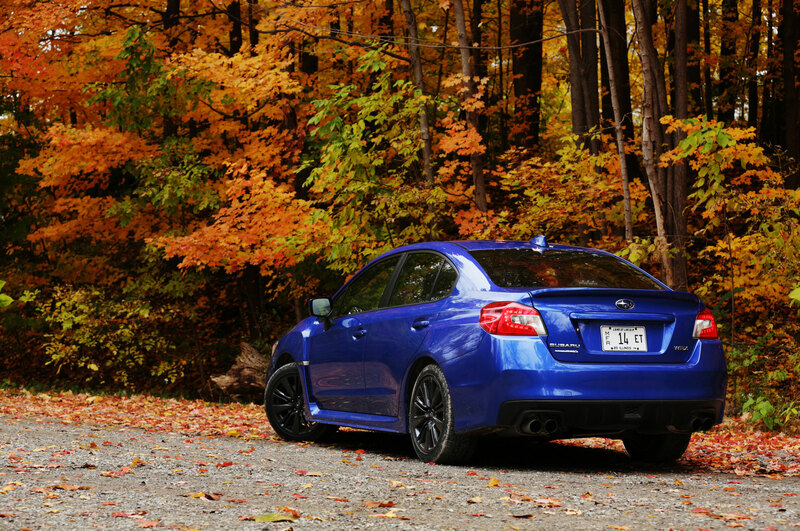 “The WRX is so good it almost convinces you you’re Colin McRae,” Nelson said. “You’re not.” We did our best to wear the battle scar with the pride of a rally driver, but soon shelled out $3,474.93 for parts and labor to fix the rear quarter panel. 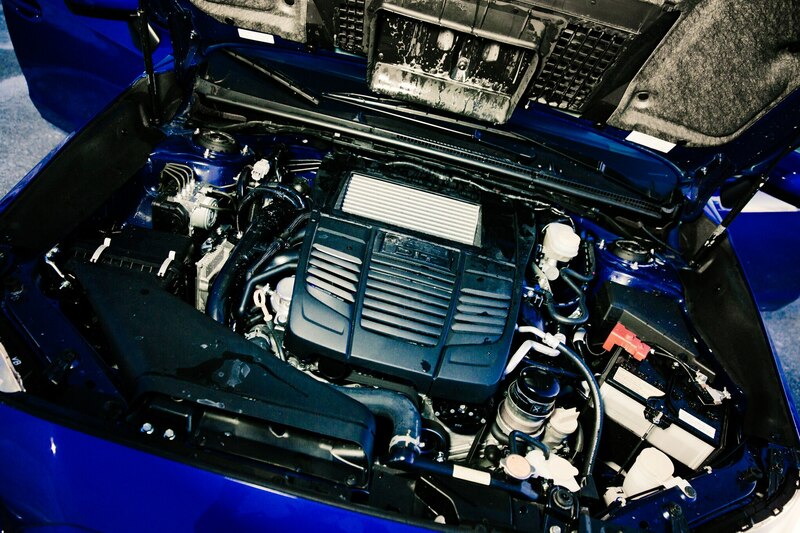 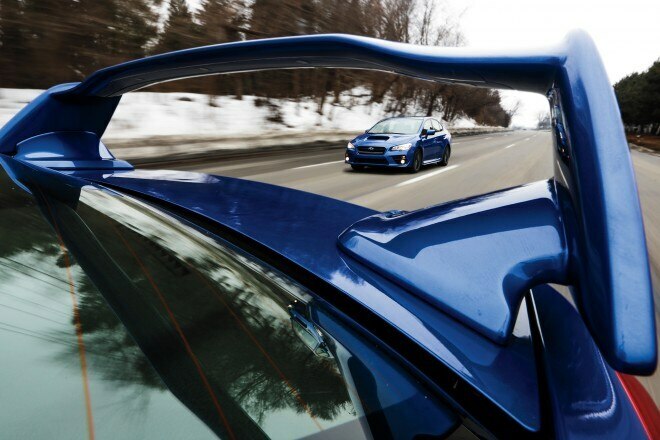 That bump in the sheetmetal didn’t stop us from flocking to the WRX, often for longer trips. 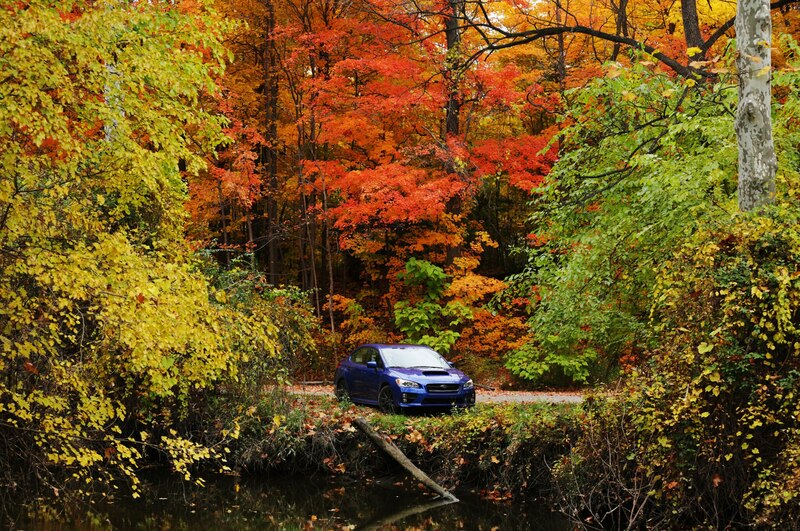 The Subie held its own during journeys to Knoxville, Tennessee, the aforementioned jaunt to New York, and all over Michigan. 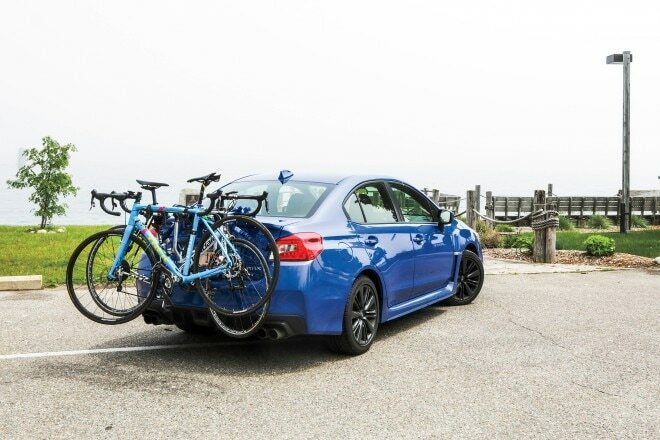 The generous rear-seat legroom and wide opening for the 12 cubic feet of cargo space proved plenty to stow camping gear and provide room for four during a vacation to Michigan’s Sleeping Bear Dunes, and it was a cinch to carry cycling gear for two for an endurance ride in Mackinaw City. 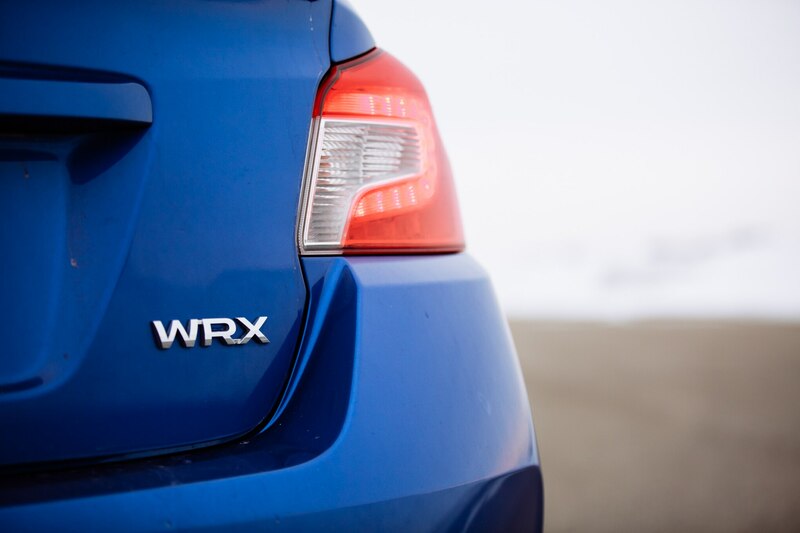 The WRX tracks well on the highway, but the stiff ride can be a touch jarring for passengers over expansion joints and rough pavement. 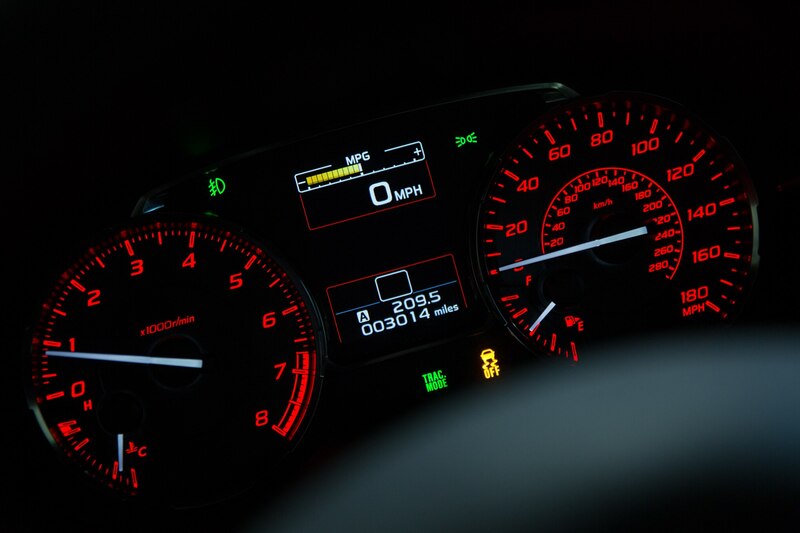 We were pleasantly surprised that long highway hauls regularly returned numbers as high as 33 mpg, which demolishes the EPA’s rating of 28 mpg. 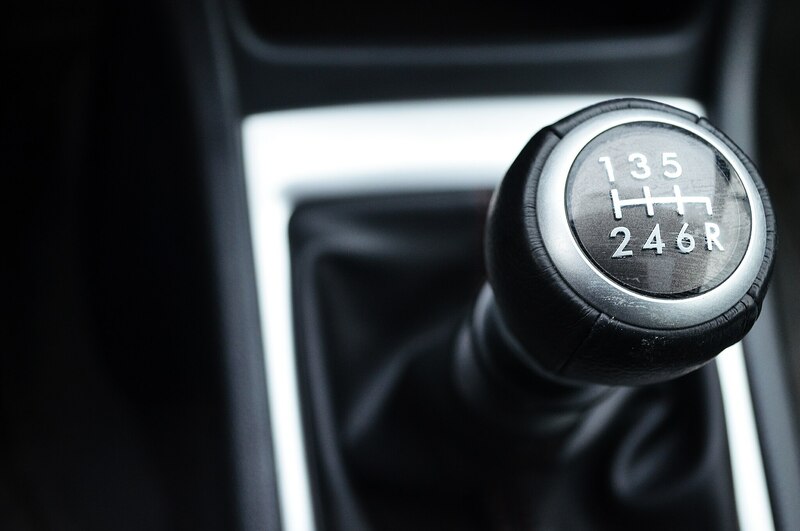 Cruising in sixth gear at about 2,800 rpm, the flat-four is just off boost and capable of uncharacteristically dainty fuel sippage. 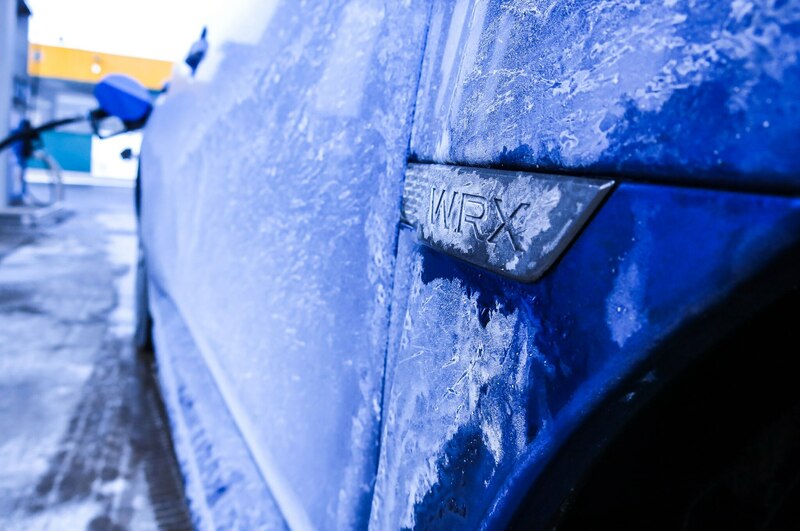 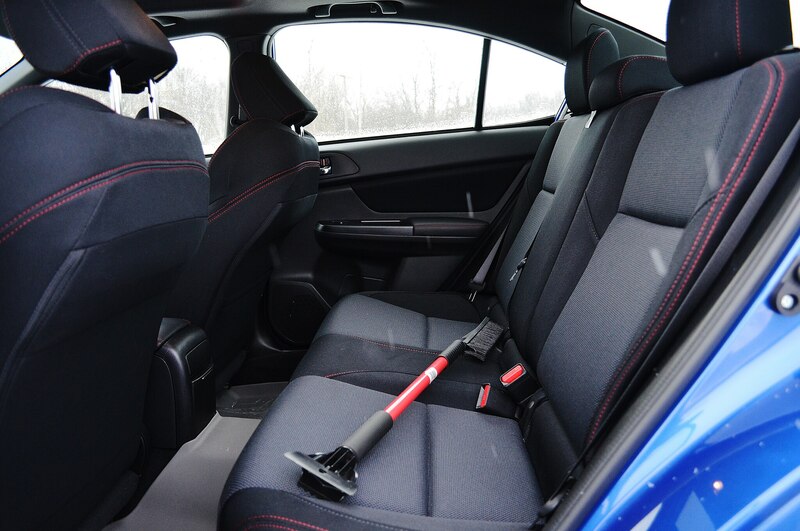 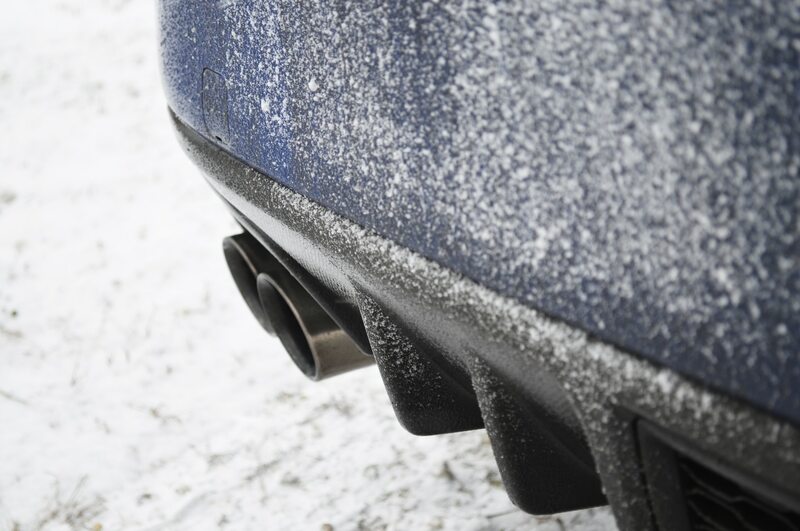 The WRX also lived up to its reputation for durability. 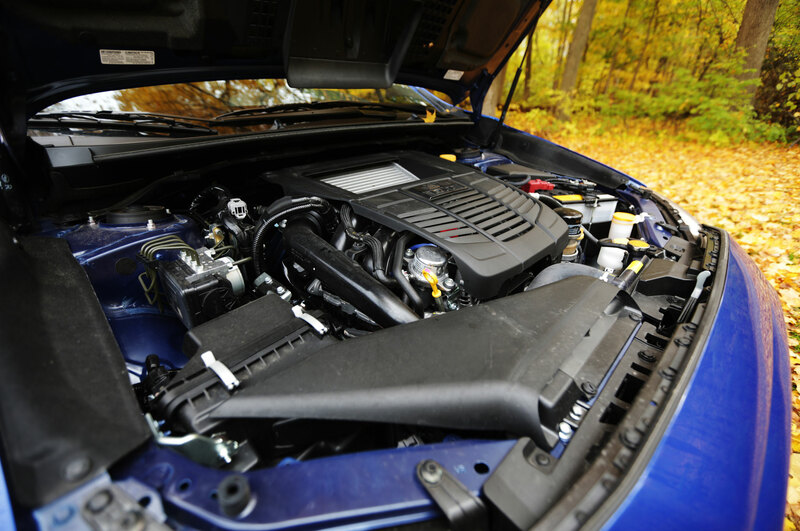 Despite its eagerness to be thrashed and our willingness to dole it out, the car held up brilliantly over 24,000 miles. 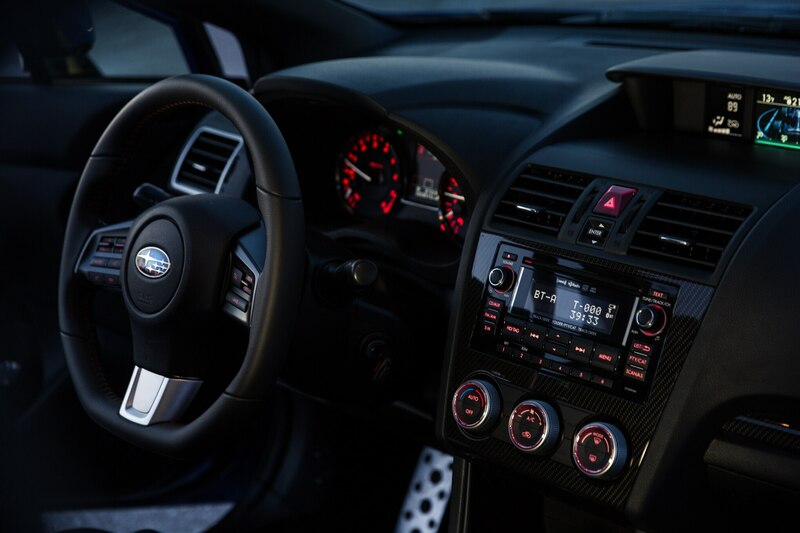 Unlike in WRXs of old, the interior remained free of rattles, and the manual gearbox never lost its short, crisp throws and positive engagement. 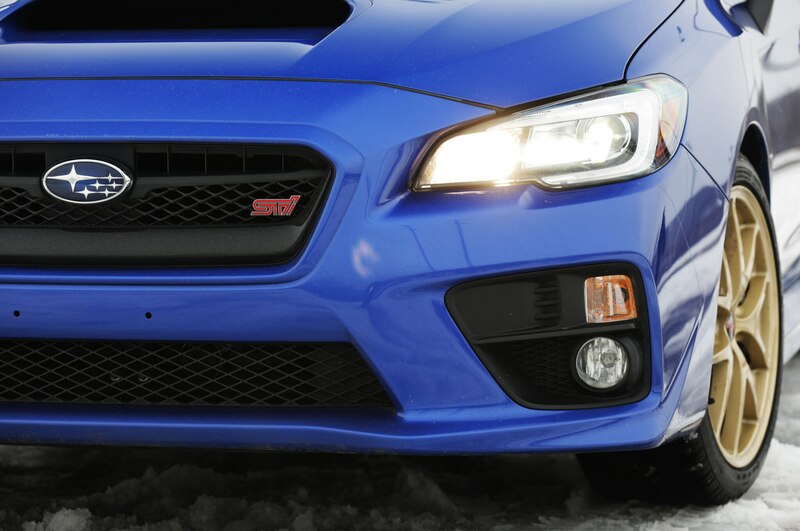 There’s something to be said for a car that can really take a few on the chin and not have its legs turn to jelly. 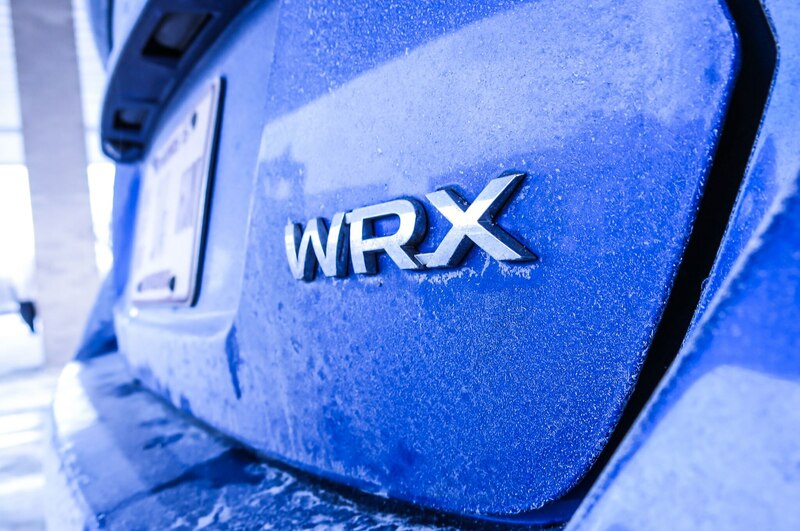 For people who love driving and want to enjoy doing so in all conditions, it’s hard to go wrong with the 2015 Subaru WRX. 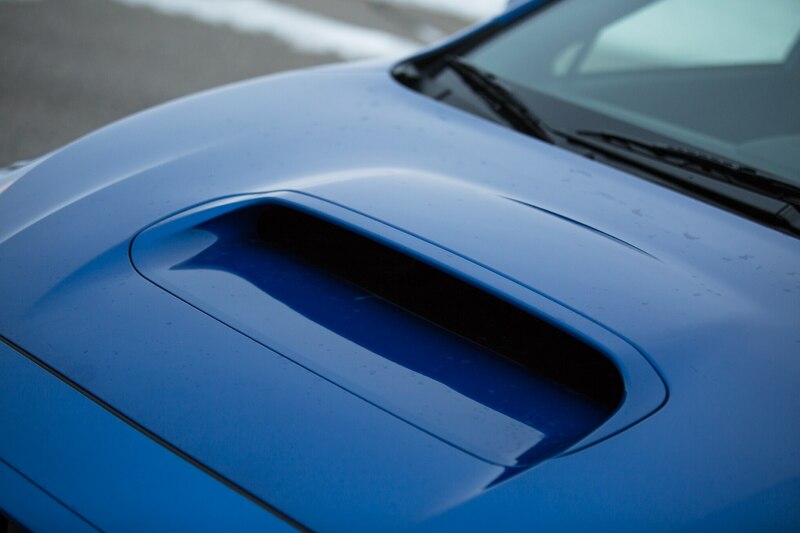 Yes, it’s a little pricier than in the past. 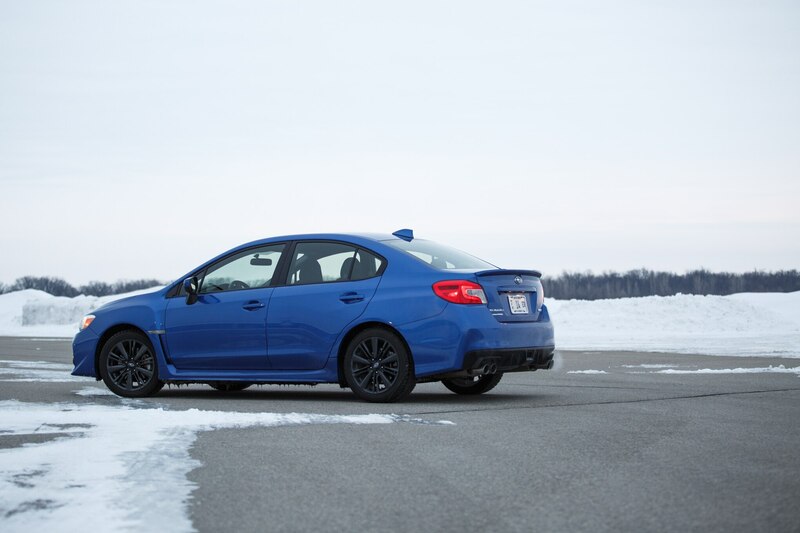 But the car has also significantly narrowed the performance gap between it and the more performance-focused STI, which costs up to $10,000 more and is considerably less livable. 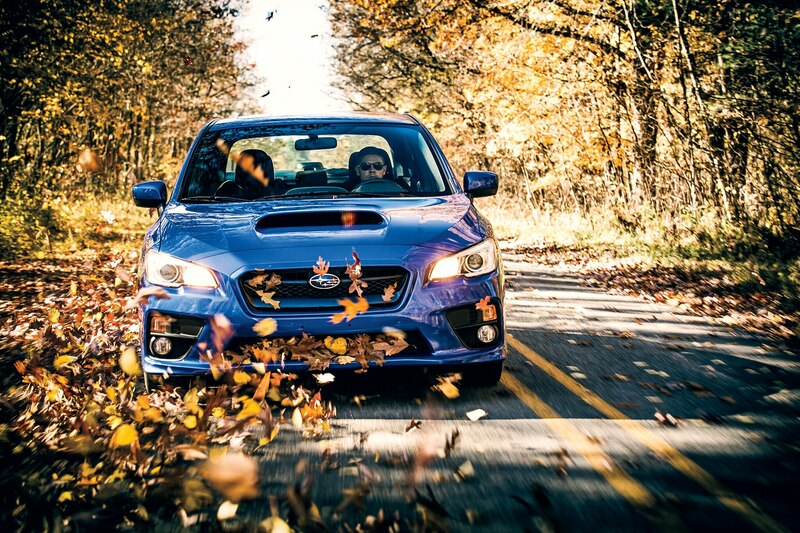 The WRX has indeed grown up, but you don’t have to look hard to see the wild child that’s still alive and kicking underneath. 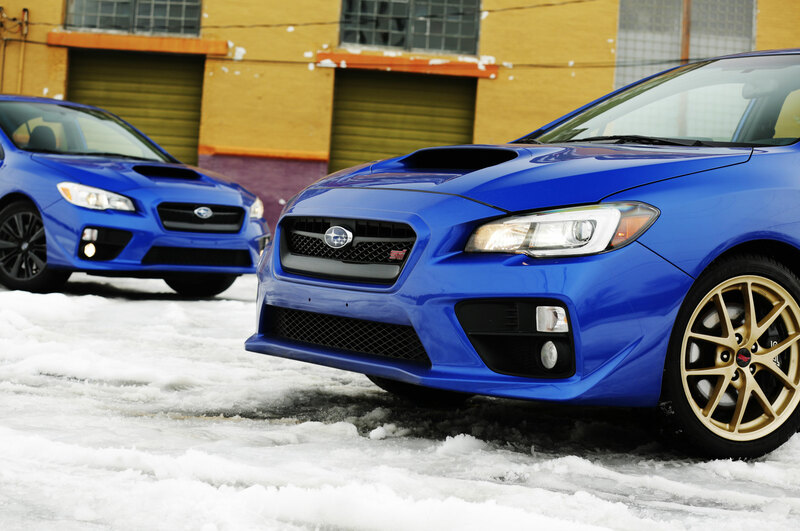 You don’t need to go full STI for a taste of the Rex’s never-say-die spirit. 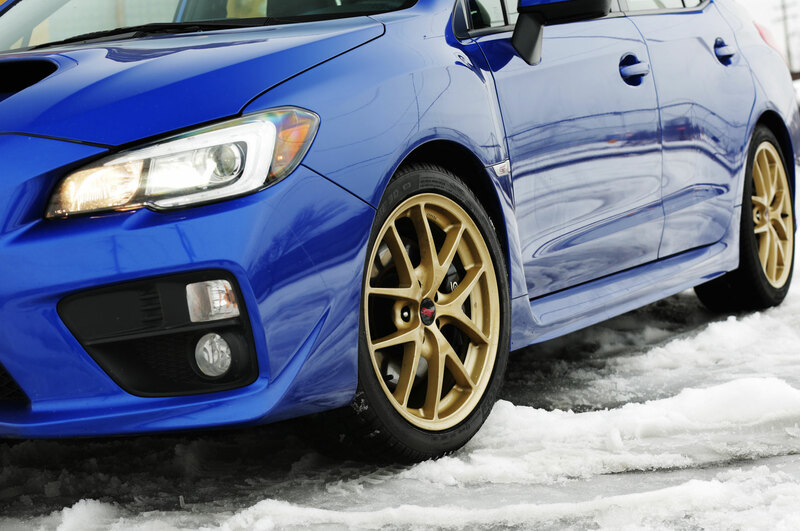 A set of gold BBS wheels wouldn’t hurt, though.